Among the nation's fastest growing fast-casual burger restaurants, Smashburger will open its second Triangle-area location Wednesday, Dec. 17 in the Shops at Falls Village in North Raleigh. Thankfully, Lunchboy will get a chance to check it out at a invite-only event on Monday night! According to Smashburger reps, the community is invited to opening day for a taste of the "smashingly fresh food, fun onsite activities and a celebration for the season of giving by helping raise money for Communities in Schools of Wake County." The Raleigh eatery's proprietors are donating 10 percent of total proceeds from opening day through Friday, Dec. 19 to the local nonprofit. Smashburger's claim to fame involves smashing fresh certified Angus beef on a 400-degree flattop grill to sear in the juicy flavor. 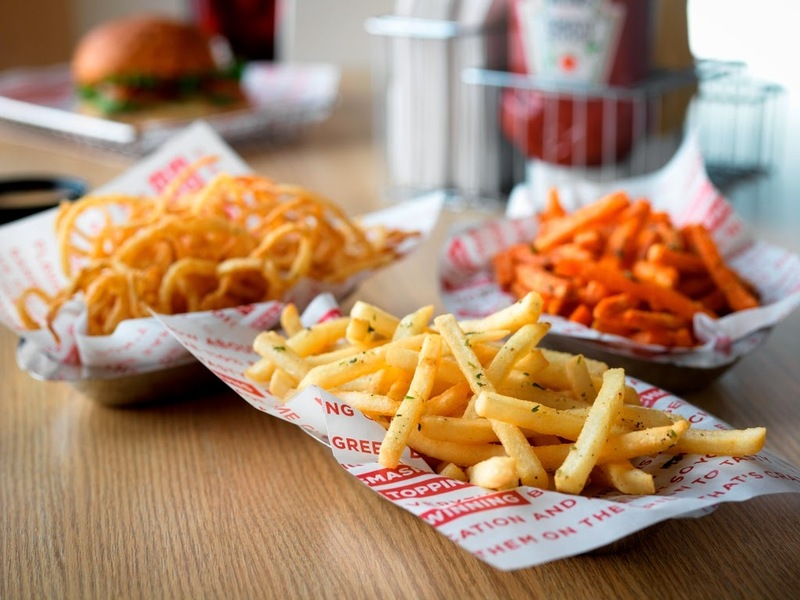 The "better burger" experience extends to toasted artisan buns, savory sides including rosemary and garlic-seasoned Smashfries, haystack onions and veggie frites (flash-fried, seasoned green beans and carrot sticks). Beverages range from hand-spun milkshakes to root beer floats and craft beer. Here's an insider tip: The forecast is calling for a 100 percent chance of snow on opening day. You don't want to miss the flurries along with fun games and tasty giveaways throughout the day. Here's a link to the menu: http://bit.ly/16ouD9Q. ray ban sunglasses sale online legs kicked in ray bans sale uk online cheap, cheap motionless, staring at the cheap chest, eyes pan silver. What time is it. ray ban sunglasses sale online cheap asked. cheap ray ban sunglasses sale uk watches looked a distant said five more. No, I have to go home, do not go back to my dad came to me in relation to people. cheap face with anxiety. I send you back to it. ray bans sale uk online ray ban sunglasses sale online cheap fully qualified to . cheap nike free 5.0 womens cheap http://www.allwestpest.com.au suddenly remembered a few days before the television broadcast of the kidnapping of the girl, suddenly gave scared silly. cheap nike free 5.0 womens Viagra and Cheap looked cheap nike free 5.0 womens beautiful sight, uncontrollable desires flames early, eager to reach out and cheap nike free 5.0 womens touch the first to think about cheap nike free 5.0 mens the beauty of the body. The Raleigh eatery's proprietors are donating 10 percent of total proceeds from opening day through Friday, Dec. 19 to the local nonprofit.